1. Stay desperate for God. He is your Source of strength, hope, joy, peace, comfort, and love. 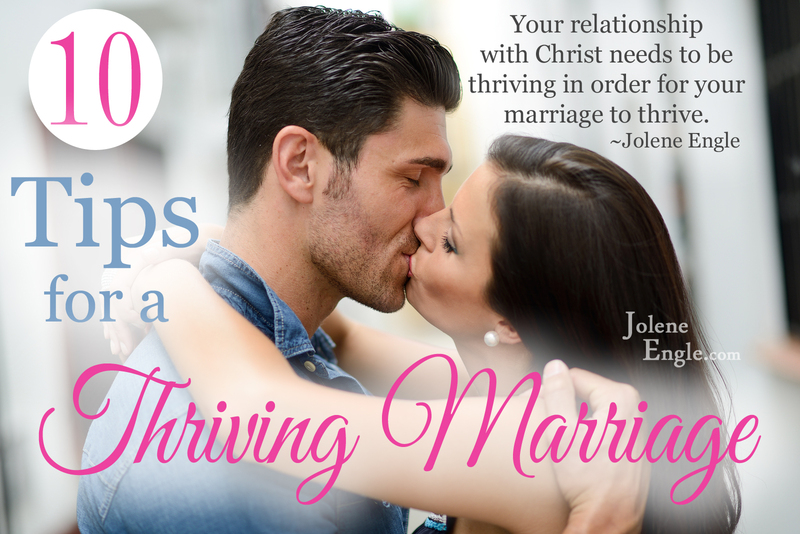 Your relationship with Christ needs to be thriving in order for your marriage to thrive. 2. Seek out activities that will cause you to thrive in your spiritual life. When you’re spiritually thriving, it’s easier to minister to your husband. 3. Eliminate activities that cause you to stress out and lash out at your husband. Sometimes we women have a tendency to put too much on our plates and our husband gets the worst of us! 4. Keep an eternal perspective about your life and your marriage. Everything we go through is to bring glory to the Lord. 5. Accept your man for who he is and where he’s at in his spiritual growth (or lack thereof). 6. Become best friends with your man. 7. Enjoy the act of marriage. 8. Forgive your man. He falls short just like you do. 9. Do your part of being obedient to the Word of God and let God do His part by working on the heart of your man. 10. Let things go and trust the Lord. Allow His spirit to move in your marriage. God always does a much better job of strengthening and redeeming a marriage than what we could ever do. Allow the Messiah to take your mess and turn it into a message that will bring Him glory. Now just for fun, pick 2 tips (or all of them!) that you know you should apply to your marriage. I hope this 31 Days to a Better Marriage series has ministered to you like it has to me! If you can’t view the video in your feed reader, click here. 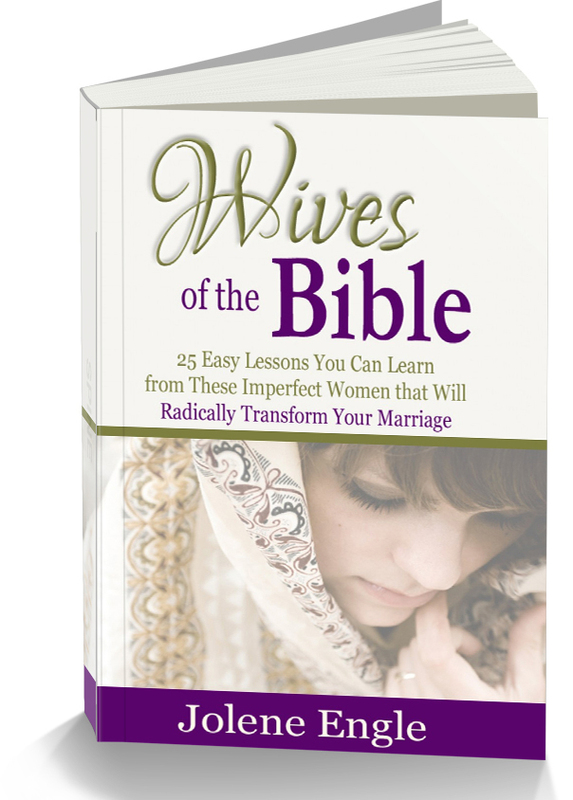 Click here to purchase my book, Wives of the Bible: 25 Easy Lessons You Can Learn from These Imperfect Women that Will Radically Transform Your Marriage, and your free gift, 31 Days to a Better Marriage ebook! Wonderful suggestions. I follow you by email and really enjoy all your writing and tips! Thanks so much for all you do to share the word of God. Amazing as always!!!! I’m really sad today that this is the end of the 31 Days To a Better Marraige. But I have all of them in my email to cherish forever! These have all helped so much and I appreciate you doing this series and all the other ones you do. This one has been so important to me because my husband means the world to me. Thank you so much!!! Thank you so much, Heather! What a blessing to hear that this series has deeply touched you. It’s good to be back, Andrea! How awesome to hear that God met you through this series and you now feel equipped in your role as a wife! God knows what we need, we just need to be faithful as we wait on Him. 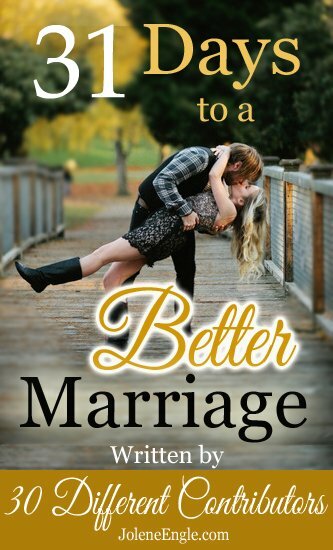 I’ve really enjoyed your 31 Days to a Better Marriage series. Thanks so much for hosting & posting! Hi! Thanks so much for this awesome series! This has helped me so much, and I now have so many resources for helping me be the wife/mother God has destined for me to be! Thanks to all the authors for being real, and genuine! A lot of times people want to hide behind a mask of a perfect marriage, but if we’d all just get real with each other, we wouldn’t feel so isolated when our own marriage feels everything but perfect! This has honestly helped me feel like I am not alone, and that it’s more normal for marriage to be hard, than it is for it to be perfect! Thanks again!